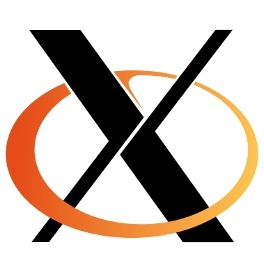 The initial list of sponsors have been announced for the annual X.Org Developers' Conference (XDC2018) where Wayland, Mesa, and the X.Org Server tend to dominate the discussions for improving the open-source/Linux desktop. This year's XDC conference is being hosted in A Coruña, Spain and taking place in September. The call for presentations is currently open for X.Org/mesa developers wishing to participate. Today the XDC2018 organizers announced the sponsors so far for the event. The platinum sponsor for this year's event is Igalia, which is based in Spain and helping with the organization of this event. The gold sponsors meanwhile are Collabora, Google, Intel, NVIDIA, and Valve. Most of the names are usual sponsors of open-source events. It's great seeing NVIDIA sponsor the event as well considering they don't get much credit in open-source circles but tend to be involved each year with XDC and usually have a handful of developers attending and contributing to areas of common ground like VR, deep color / HDR, etc. Valve sponsoring also isn't much of a surprise anymore considering all of the developers they are employing to work on the open-source graphics drivers, they have had Valve developers attend XDC the past few years now, and they have also sponsored other open-source events like DebConf in recent years. XDC2018 is shaping up to be another great event and will be taking place at the end of September. Event details can be found at xdc2018.x.org.